Ginger (Zingiber officinale L.) has a strong, pungent flavor with a subtle sweetness and an exotic aroma. 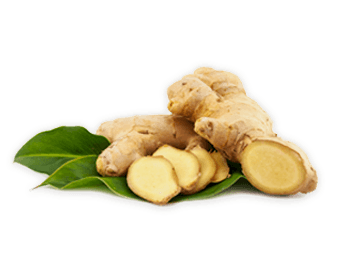 Gingerol, the major constituent of fresh Ginger, may have a beneficial effect on metabolism. The metabolites of Ginger accumulate in the gastrointestinal tract, supporting the use of Ginger as an aid for stomach ailments, nausea and digestive health. Ginger has antioxidant properties and may help promote anti-aging.